Loading day is always exciting. 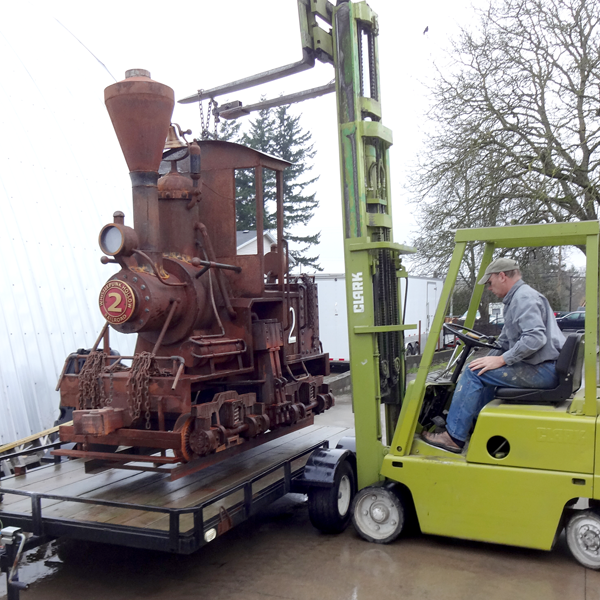 Today we hooked up the train engine and loaded it on the trailer in preparation for the journey to it's new home. As with every delivery we make this load is sure to gather lots of stares along the way I'm sure. It's going to be fun!